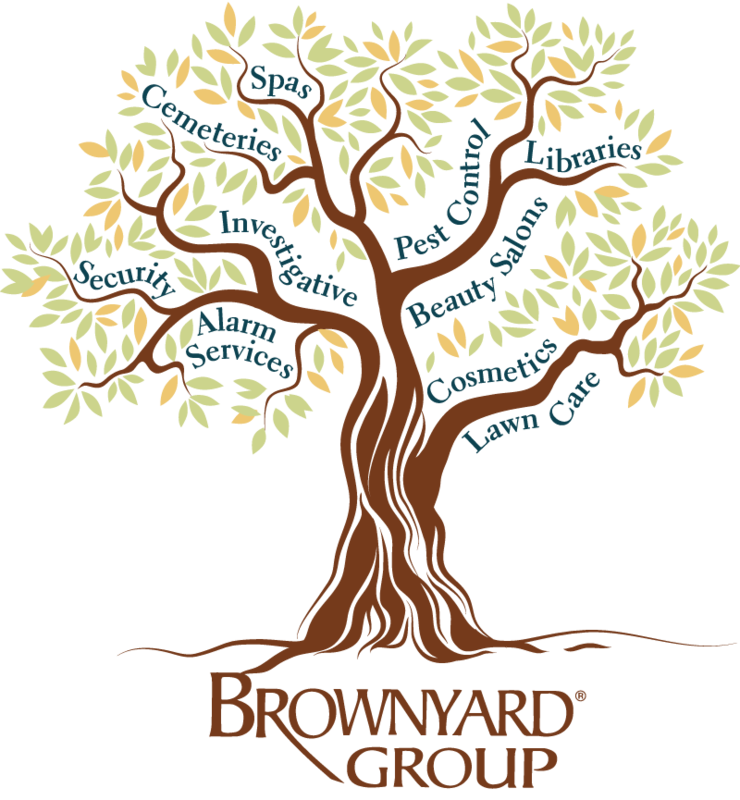 In continuous operation for over 65 years, the Brownyard Group is the longest-running family-owned Program Administrator for agents and brokers serving the security, pest control, investigative, alarm services, salon and spa, cosmetics, landscaping services, cemetery and library industries. Brownguard liability insurance coverage specifically for the security guard industry. PI Protect provides liability coverage programs for Private Investigators & Security Consultants. SIREN alarm insurance provides specialized liability insurance for alarm and monitoring service firms. PCOpro is a state-of-the-art insurance program for today’s Pest Control Operators (PCO), offering the broadest coverage on the market. GroundCover is designed specifically for Landscape Gardeners and Lawn Care Service Providers. The wildlife control program is designed for the wildlife management and animal control industry. SASSI, Salon & Spa Specialty Insurance provides a wide range of insurance coverage for salon & spa professionals. FOUNDATION provides specialized liability insurance for cosmetics manufacturers, importers & distributors. By The Cover™ is designed to protect Libraries and their valuable assets. MemorialPro provides specialty insurance for Cemeteries and Crematoriums in New York, New Jersey, and Connecticut. Download our Risk Management Briefs to learn how to keep you and your clients safe. Active Shooter incidents pose significant risk to security firms and their clients each year. In 1950, William H. Brownyard created what is believed to be the first specialty insurance program in the U.S. to serve the security guard industry. Bill’s single program has grown into the Brownyard Group, a family of specialized insurance programs designed and administered by the Brownyards. We offer the right combination of underwriting expertise and industry knowledge, built on a solid history of success. Bill’s entrepreneurial spirit remains firmly rooted in three generations of the Brownyard family who oversee the daily operations, ensuring that brokers and agents are treated as valued partners in the protection of the industries they serve. Brownyard Claims Management, Inc. is an independent in-house Claims Services Facility with an experienced team of claim representatives, lawyers, investigators, medical staff and other experts whose sole focus is achieving rapid resolution to claims for Brownyard Group insureds. In operation for 25 years, it is one of the only dedicated claims facilities administered within a Program Administrator. Brownyard Group has always valued our relationships with local agents and brokers which is why we provide a convenient library of marketing materials to support your sales.